First Credit Corporation offers insurance coverage for manufactured homes through several leading insurance companies. These companies have been chosen by us for having the highest industry ratings for financial stability, as well as superior coverage and claims service. We can insure: Travel Trailers, Park Models, Snowmobiles (go to our snowmobile insurance website sledinsure.com), commercial manufactured homes, held for resale, rental units and office units, and commercial insurance for manufactured home communities and dealerships. 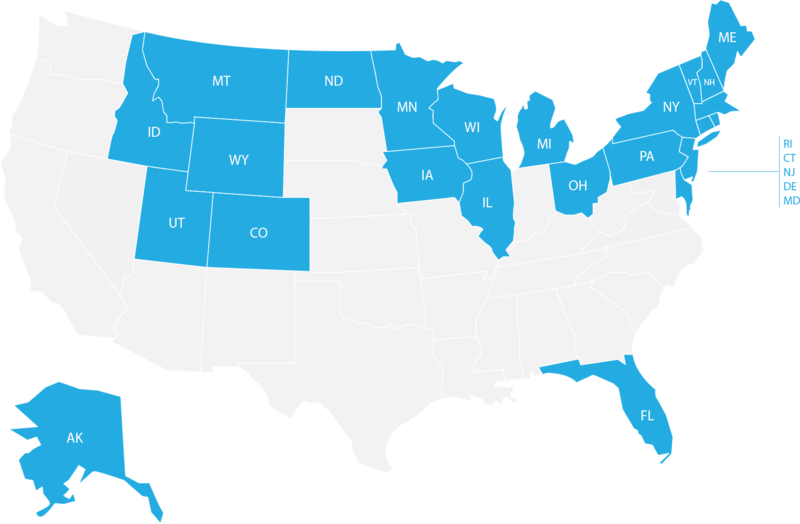 Mobile Home Insurance Coverage In 24 States and Growing! This is protection for your manufactured home that is unsurpassed. It can include many types of damage including fire, water damage, flood, earthquake, windstorm and hurricane, vandalism and burglary. If your home is uninhabitable this coverage pays the costs of your temporary additional living expenses. You may be legally responsible for an injury which happens to someone else on your property. These can be very expensive costs and liability coverage can help to cover these costs for you. Primary Residence Manufactured Homeowners’ Policies. Seasonal or Vacation Manufactured Home Policies. Coverage on Manufactured Homes Rented to Others. Tenants’ Policies for Those Who Rent a Manufactured Home.